Offering you a complete choice of products which include pine wood block board. 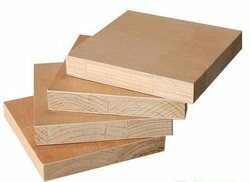 We also manufacture Pine Wood Block Board of 19 mm of Pine Grade. Our Block Board is made of 100 % Pine wood. These Block Boards are highly accepted and appreciated by interiors and carpenters, because of its smooth finish and looks.